Doomed by the evil warlock Forwin to wander the ancient seas as a mermaid for all eternity, Perdita longs for the release death would bring. Every ten years she has a chance to break the curse when she emerges from the sea fully human for one month. The catch? She must find a man willing to die for her. Captain Savion Ryne wants nothing to do with beautiful women. It was one such woman whose betrayal ruined his life and his reputation. After nearly drowning in a storm at sea, he wakes on an island with visions of a dark haired mermaid pulling him from the water. When a woman similar in appearance begs for his protection, he is suspicious. Perdita has never met anyone as honorable as Savion. Even though he shuns her every advance, she falls for him. But as the end of her time on land approaches, she faces the hardest decision of all, save Savion and remain cursed for all eternity or break the curse and watch the man she loves die. Standing on the ledge of a mountainous cliff, Perdita gazed over the majestic storm raging beneath her. Mountainous swells thrust foamy claws into the sky. Black, slick as ink, spewed from angry heavens. Lightning hurled white-hot forks toward Erden, while thunder announced the doom of all in the tempest’s path. Perdita had been waiting endlessly for such a violent squall. Mayhap this would be the night. Mayhap this would be the moment the unbearable pain in her heart would end. Oh, let it be so! What would it be like to die, to finally close her eyes forever? To know naught but darkness and emptiness. Nothingness. Part of her feared it. Most of her yearned for it. At least her agony would be no more. The pain, the loneliness gripping her heart would finally cease. Tears spilled from her eyes but the wind stole them away. Even her tears were not her own. After tonight, she would cry no more. Finally, her three hundred-year nightmare would come to an end. Wind whipped her naked body, forcing her against the cliff wall. Jagged rock slashed her skin as the tempest roared madly all around her—berating voices from a thousand rejections. She jammed her hands over her ears, but the voices taunted her mercilessly…reminding her that no matter how hard she tried, she failed to obtain the one thing she desperately craved, the one thing that continually eluded her, the one thing—the only thing—that could liberate her from infinite torment. She shattered the surface. Seawater engulfed her, ramming into her from all sides. Deeper and deeper she descended. The jolts mutated to gentle caresses and the sounds of the storm muffled to mere whispers. Her legs melded together. Awkward kicks transformed into one efficient, powerful stroke. Tingling skittered over her body, molding skin into scale. Perdita released her breath. Bubbles rose. She gulped. Water flooded her lungs—always uncomfortable at first, but then as her skin breathed in the sea, more natural than she cared to admit. More normal to her than breathing air. As normal as the grief that ripped through her every time she dove in the water and became a creature she loathed. Slipping with ease through the dark sea toward her destination, she soared upward and punched through the surface into the storm once again. Wind spit salty foam in her face. A massive wave carried her high into the night sky like a princess on her chariot. Scanning the turbulent scene, she spotted the monstrous rock—the one they called Hades’ Gate—just half a mile away, aptly named for the number of sailors who had died upon its barbed spikes. Sharp, craggy spears stuck out in every direction as if Natas himself crouched in the sea with a thousand claws extended. Natas or not, Perdita hoped she would be the next victim. If only she could position herself just right so the next colossal wave would smash her against the rock with such force, such ferocity, that her body would be completely shredded. It had to work. ’Twas her last idea. She’d tried everything else: poison, pistol shot, starvation, stabbing, even leaping into a fire. Each time she’d suffered terribly, but she had always healed. The last time, when she’d jumped off a cliff into a deep ravine, it had taken much longer to recover, and she realized that there was a point past which her body, immortal or not, would not be able to mend itself and would hopefully drift into that peaceful state that was the reward of all mankind. Death. Ah, sweet, sweet death! To at last find the rest her soul craved. To be free of the tormenting bitterness and despair that plagued her by day and the perpetual hopelessness that assaulted her dreams by night. She must be free—now! Leaping off the crest of a wave, she dove into the trough and swam to just the right position. Then, arms by her side and tail strong and taut, she swooped up inside the next undulating surge, allowing the force of sea and wind to lift her to the top. Water caressed her body and gurgled and sloshed past her ears in a magnificent orchestra that would put great composers to shame. Bursting through the foamy cap, she glanced at Hades’ Gate. In perfect position. Daggers of lightning scored the sky. Thunder bellowed its displeasure. No matter. She only needed to ride this swell until it hurled her onto the barbed rock that would set her free. Facing forward, she started to close her eyes, wanting to enjoy her last moments as the wave carried her along, but a flicker in the distance snagged her attention. A flash of light, then darkness. Wiping water from her face, she focused on the spot. There it was again. A burst of light. Then black. She adjusted her body and flapped her tail to keep up with the wave. Foam spun around her. The sea roared its fury. Whatever the flickering light was, what did it matter to her? She would be gone soon enough. A shout battled for preeminence over thunder. A scream echoed over waves. Against her will, she stared into the darkness for its source. A ship appeared, tottering on the churning swells like a child’s toy in a rushing creek. One of its two masts lay on its side, half in the water, half on deck. Sails and rigging tangled on the ship like a fisherman’s net. The vessel dove into a trough and disappeared from sight. Wails ricocheted around her—wails of impending death. She knew them well. Had envied them for so long. The ship appeared again, spinning on a coiling whitecap. Men clung to yards and railings while others scrambled across the deck in a frenzy. Three men raised axes to chop lines in an effort to free the broken mast that threatened to drag them to the deep. One of them crawled precariously out upon the wood, hacking at the rigging with a desperation inherent only to mortals who dreaded their lives cut short. He fell. One minute he was there, chopping the ropes, the next gone, swallowed up by a raging sea that showed no mercy—except to Perdita. “Zost!” She swore, glancing back at Hades’ Gate. So close … just moments away. She faced the ship again, drifting farther and farther from the man, who was now but a knot of flailing arms atop liquid coal. What did one more life matter? This was her moment, her time to find freedom. Many sailors fell into the sea with no one to save them. Who was she to disturb the natural course of life and death? A giant swell grabbed the man and tossed him in the air, then smothered him with raging foam. He disappeared below. One glance behind her told her she had but one more minute and she’d slam into Hades’ Gate. One more minute and the man would drown. Life was precious. All life but hers. She could not leave him. “Zost!” She groaned and dove into the agitated foam. It has been a while since I read a book along the lines of the fantasy genre, but I have to admit the cover for Tears of the Sea drew me right in. One look at it and I wanted to find out what secrets were held within the print. That was the beginning of my voyage through what I’m now calling one of the most heartbreaking portrayals of the mermaid I’ve ever read to date. The story in itself captivated me. Though I’ve read about a mermaid born of a curse before, Perdita’s story is unfortunate in every sense of the word. Perdita has to be one of the most wretchedly selfish characters I’ve ever read about, but in her curse—in the long time she has lived alone— she is justifiably self-interested after the vast amount of tragedies she has been forced to endure. Unable to find the one who will love her unconditionally, she has sadly become so self-involved in her desperate need to be free of the spell cast upon her that she has forgotten the true meaning of love, and all the beautiful things it brings along with it. Things begin to change when she meets Captain Savion—the one man who doesn’t instantly fall prey to her preternatural beauty and misguided charms. A man on a mission, Savion vows to himself not to be ensnarled by Perdita’s beauty, but even as he tries not fall for her, she begins to warm a path straight to his heart. Savion, almost instantly, becomes my favorite character of the book. He is so selfless, and true to his beliefs, and what he wants. He doesn’t sway from his mission, nor does he stops being true to himself in order to accommodate Perdita, or any of her attempts at getting what she wants. Though a bit predictable given the storyline, I love the fact that Perdita finally learns her lesson and begins to see that love is not selfish, and in order for someone to give something for her, she has to give something back. The ending both surprised and enamored me. Though I knew it was going to happen, I never saw it coming the way it did. I enjoyed this book very much. Loved the world the author created. Came to enjoy the secondary characters. My only complaint—if you can call it that, is that I would have loved to have a little more insight on Savion’s and Perdita’s happily ever after. Overall, I had fun escaping into the world of Tears of the Sea. Best-selling and award-winning author, MaryLu Tyndall dreamt of pirates and sea-faring adventures during her childhood days on Florida’s Coast. After obtaining a degree in Math and working as software engineer for 15 years, she decided to test the waters as a writer. 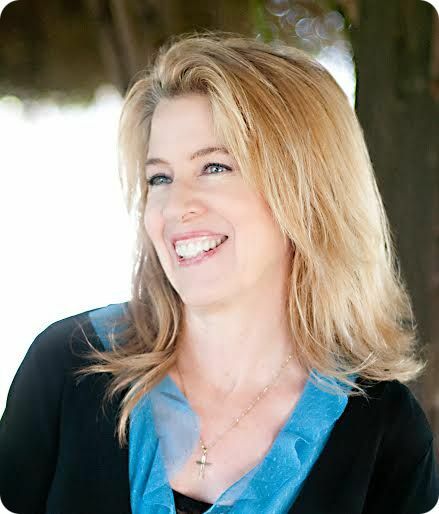 With now more than fourteen books published, she makes no excuses for the spiritual themes embedded within her romantic adventures. Her hope is that readers will not only be entertained but will be brought closer to the Creator who loves them beyond measure. In a culture that accepts the occult, wizards, zombies, and vampires without batting an eye, MaryLu hopes to show the awesome present and powerful acts of God in a dying world. MaryLu makes her home with her husband, six children, and several stray cats on the California coast, where her imagination still surges with the sea. 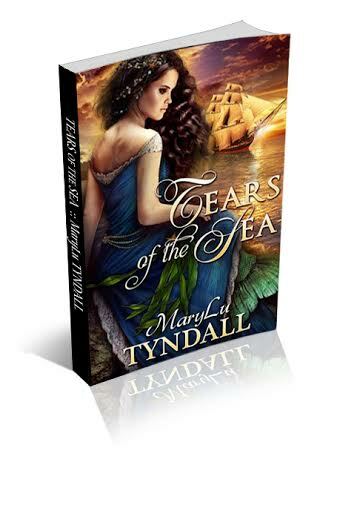 Her latest book is the fantasy romance, Tears of the Sea. Connect with Marylu on Facebook and Twitter. More books by Marylu Tyndall.